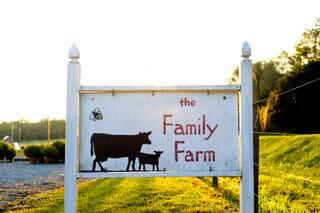 The Family Farm on Avent Ferry, located in Southwestern Wake County, has been in the same family for 6 generations. In 2012, The Family Farm opened to the public during the Fall and Christmas season. Their 75 year old traditional cow barn, 100+ year old log tobacco barn and 65 year old traditional tobacco barn create a unique setting. The Family Farm on Avent Ferry sells North Carolina grown pumpkins every Fall. Be sure to visit for your decorating needs. 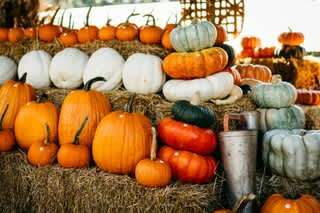 The Family Farm offers a variety of specialty pumpkins, gourds, corn stalks and hay bales. Take some photographs on a vintage John Deere Tractor and let us take care of you like family.